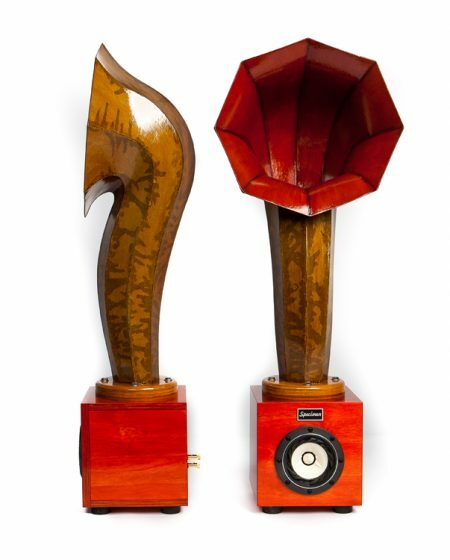 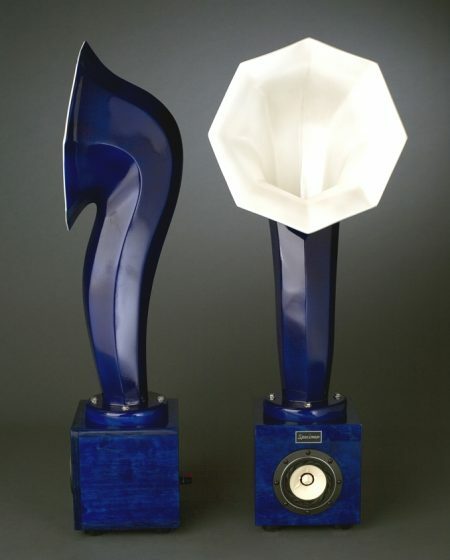 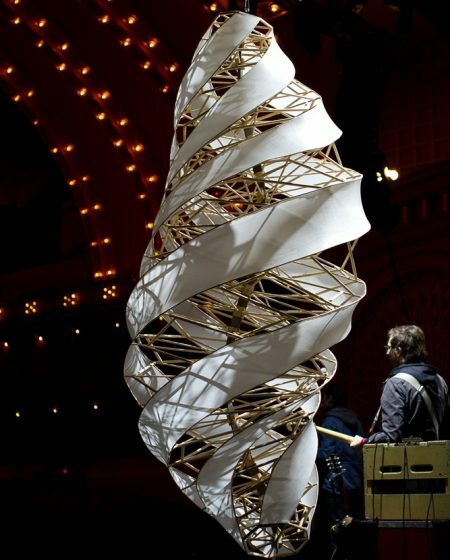 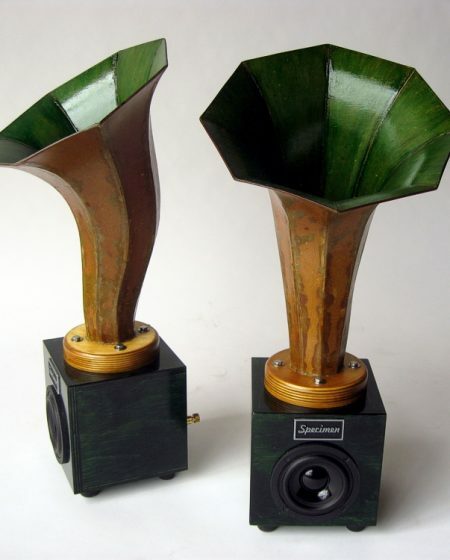 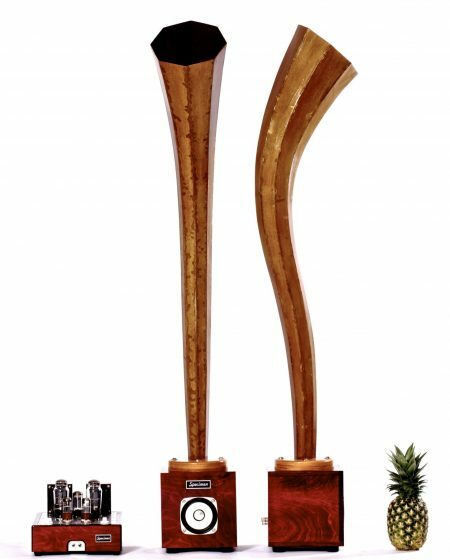 I began creating horn speakers in 1998 to use for musical instrument amplification. 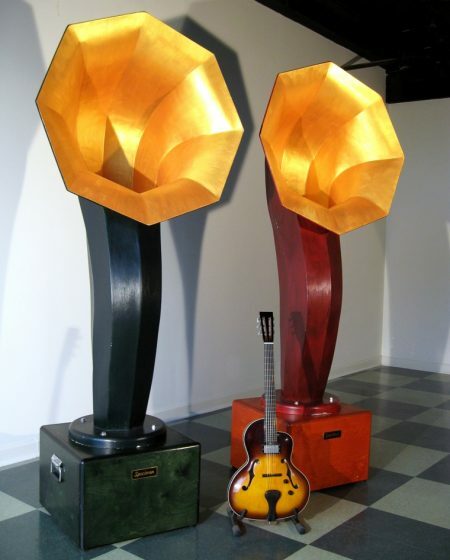 Their unique projection and efficiency made them ideally suited for difficult-to-amplify instruments like the violin, harmonica and banjo. 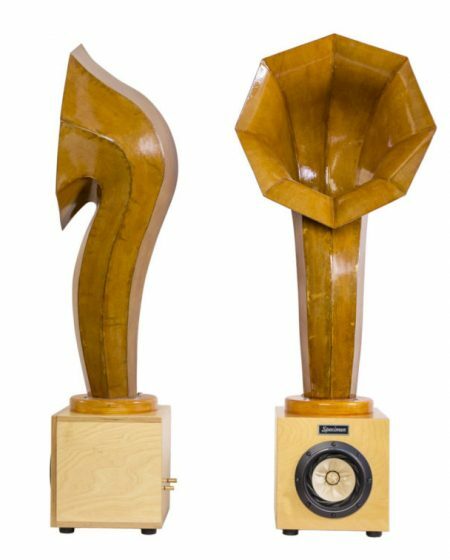 I then began creating high-fidelity speakers, pairing them with sensitive full-range drivers used for high-fidelity playback and discovered that a special spatial effect is achieved wherein the sound source becomes elusive and music playback is stunningly realistic. 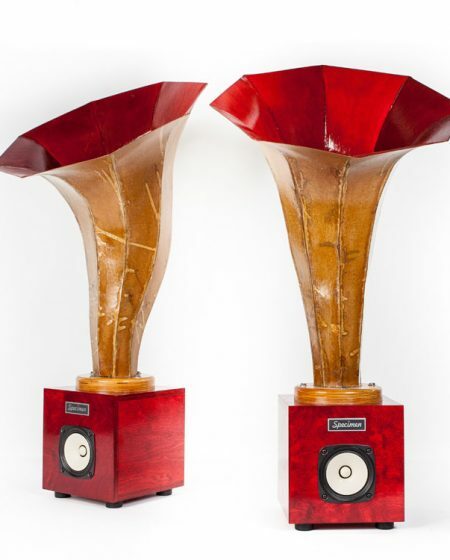 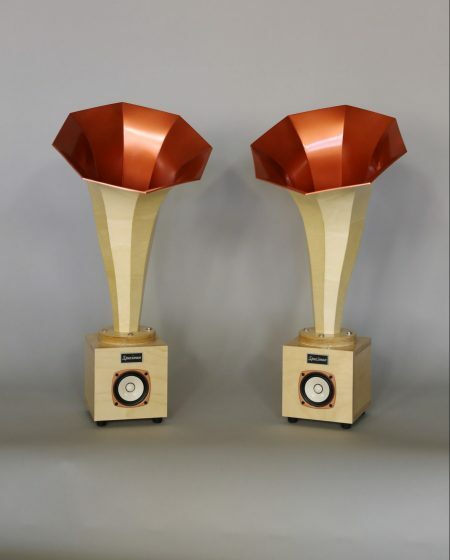 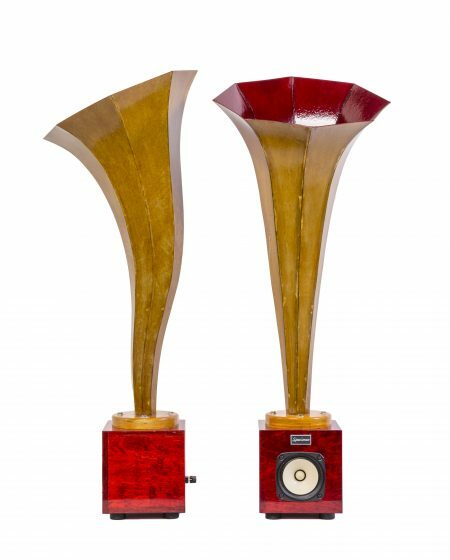 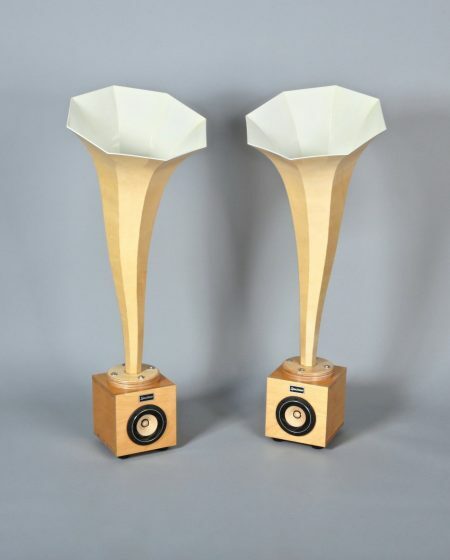 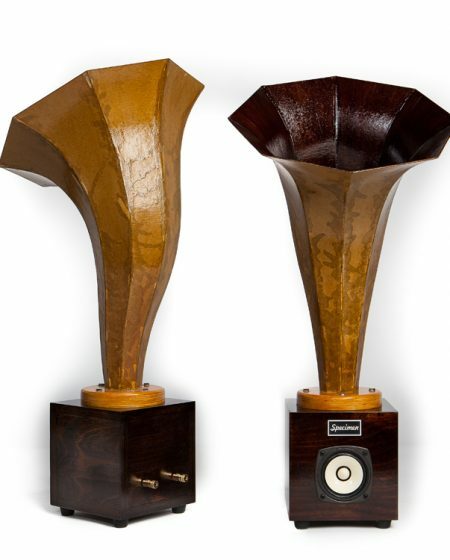 These horn speakers, with their smaller diameter drivers achieve a larger-than-life sound stage with excellent high frequency detail and no crossover to cause distortion.